Torne Valley has a range of STIHL Hedge Trimmers available right now. Standard hedge trimmers to long-reach, work in gardens and parks has never been easier. Their equipment has been designed to be the best and most comfortable on the market. 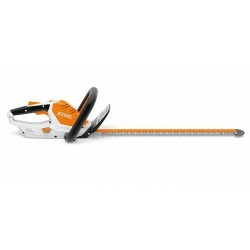 STIHL hedge trimmers have been specially developed for cutting overgrown thickets and long hedges so any job really is a breeze. Hedge Trimmers There are 13 products. 115° adjustable cordless hedge trimmer. A cordless telescopic hedge trimmer, adjustable to 115° ideal for reaching those taller hedges safely. 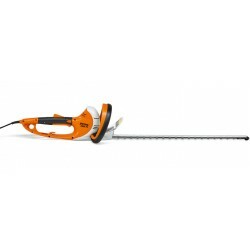 STIHL HS 45 Petrol Hedge Trimmer 24"
The HS 45 is a light and compact introductory petrol hedge trimmer ideal for use around the garden. It is fitted with a powerful 2-MIX engine to get through the toughest of cutting jobs. 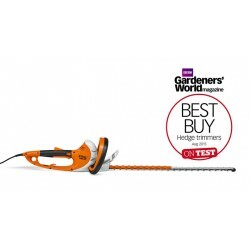 The STIHL HS 56 C-E is a semi-professional petrol hedge trimmer fitted with ErgoStart as standard. The HSA 25 Cordless Shears are a handy set of shears perfect for cutting shrubs or grasses. A very light cordless hedge trimmer with Intergrated rechargeable battery. 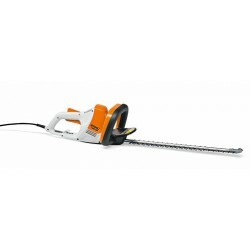 I provides good cutting performance for trimming branches in your home's outdoor spaces. 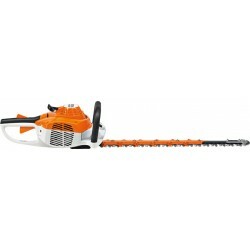 The STIHL HSA 56 is a cordless hedge trimmer set which comes with AK 10 battery and AL 101 charger. It is ideal for pruning or even tackling hedges!